Brad and I got Rolle, our shih-tzu, the spring of 2012. He was our first fur-baby! Both of us had family pets growing up so of course when we got married we assumed the responsibility of having our very own! We knew the great joy that pet ownership would bring but we didn't know how confusing it could be to navigate the pet industry. Admittedly, we made the mistake of buying rawhides on more than one occasion. At the time, we didn't know how terrible these rawhides really were or the dangers they possessed. Now we know and want to share with you so you can make informed decisions about your pets' chew toys. By all means people, there's nothing "raw" about it! Get educated when it comes to your pets' health, just like you would for yourself! Planet Paws calls rawhides the deadliest and most dangerous chew toy you can purchase. Why...because the rigorous steps and processes used to make these chews are very toxic. Although I'd like to claim to be the expert on this subject, I'm going to pass the torch to Rodney Habib. Follow his FB page for posts, videos, photos, recipes and more about pet questions and concerns. At Premium Pets we carry appropriate alternatives for your pets' chewing needs without having to bring up rawhide in our store! What you will find are all-natural and safe treats made with protein sourced from American farms and are easy to digest. Ask about our Etta Says Treat Bar with lots of premium options made right in St. Louis, MO. These treats are all under $2.79 and have unique protein sources like duck, deer, turkey and rabbit. These are great options for the chewer in your life! 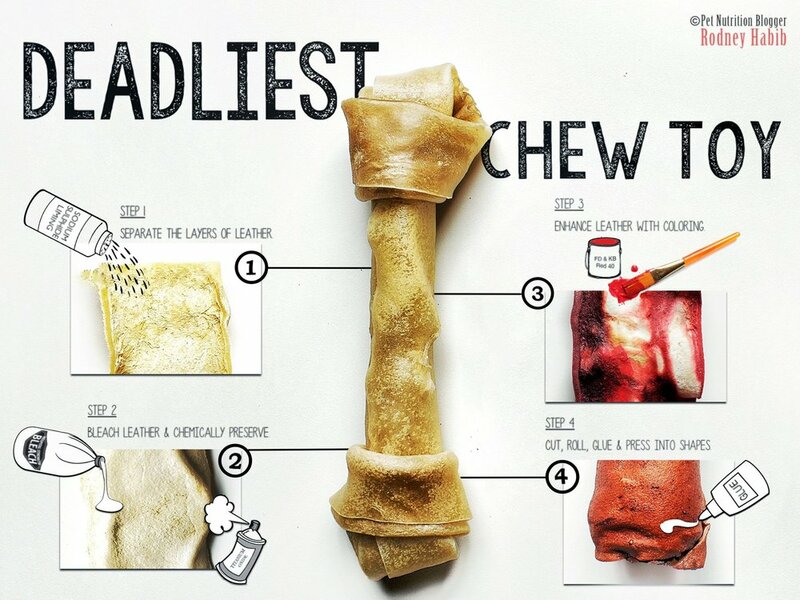 Your dog will thank you for not getting rawhides.